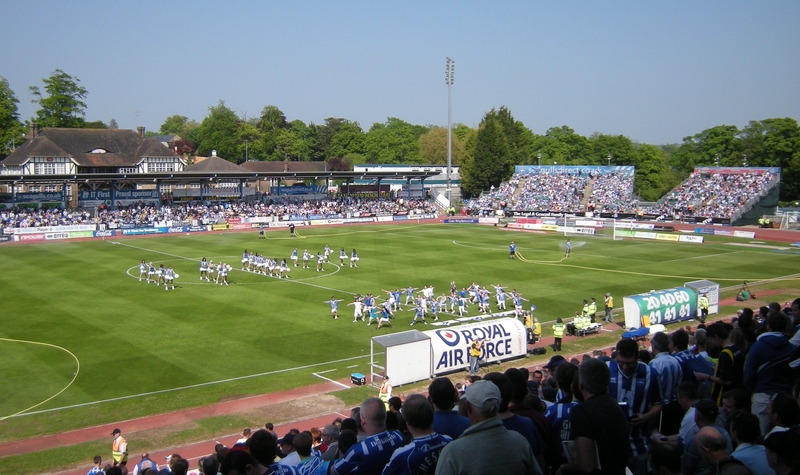 Brighton and Hove Albion 2 – 3 Huddersfield Town. 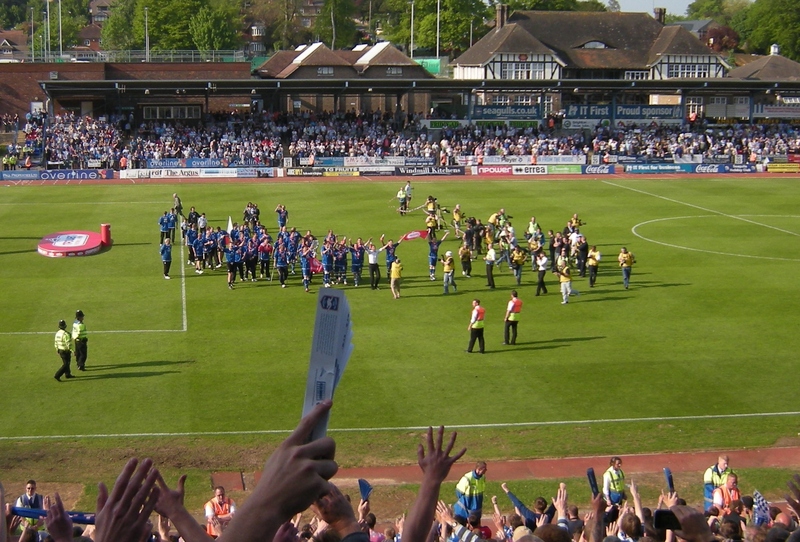 That result will be forgotten quite quickly here on the south coast, but the date 30th April 2011 won’t, not because it was such a memorable day’s events, but it signalled a momentous day in the turbulent history of the Albion. A mate in the pub afterwards summed it up perfectly “I feel like I didn’t really give the occasion the attention it deserved, I couldn’t really get into it. 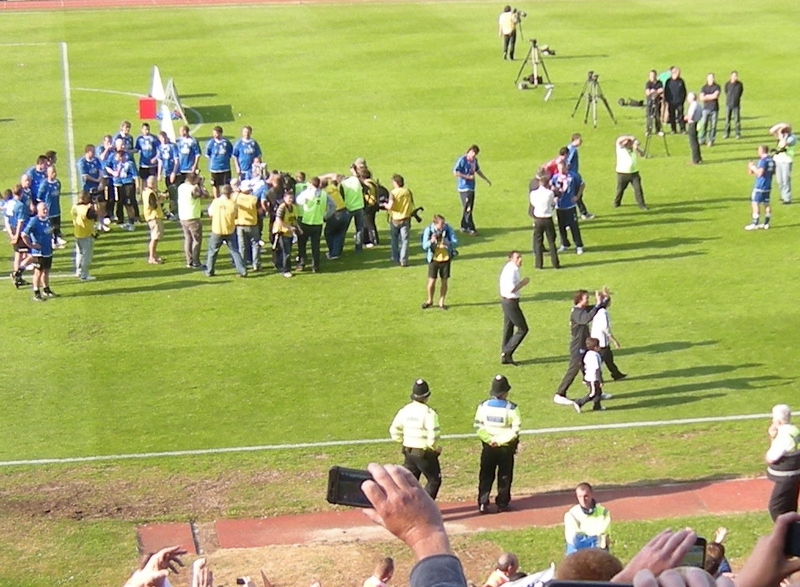 We won the league weeks ago, so the party atmosphere has been dragged out a bit.” I agree (although I missed the fucker), we won it too early. But just as Oh Gary Hart missed a tap-in in his last ever home game yesterday to cement his cult status forever with Albionites – the fairy tale season had a bit of a damp squib ending, you can’t have it all. Football isn’t like the movies, unless you’re a Manc (a red one, not an Arabian blue). So, we had our last day at the Theatre of Trees, and instead of reflecting on and celebrating the most successful stadium in the long history of BHAFC, yesterday the sell-out crowd was there to deliver a collective sigh of relief that we’re finally moving out of the place. For those readers who are unfortunate enough not to be Albion fans, that’s sung to the tune of “My Old Man’s a Dustman”. 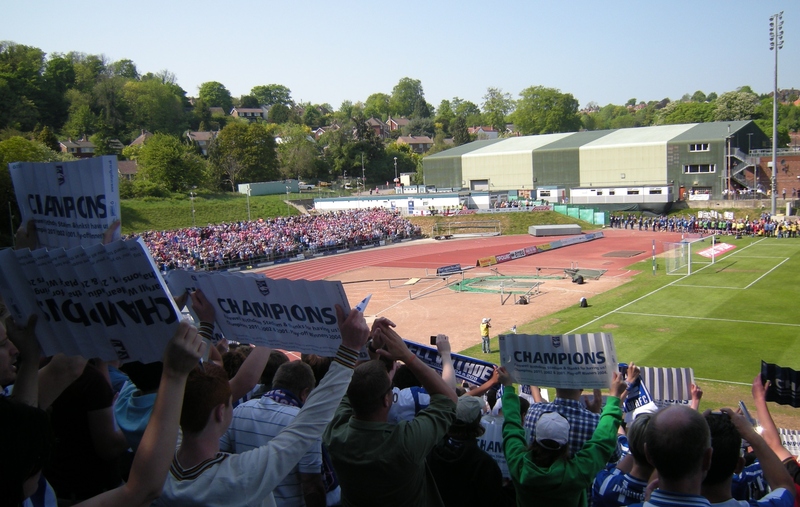 So, it’s gone now, the old bleachers will be ripped up and Withdean will go back to hosting athletics in front of two old boys and a dog. It’s legacy will be as one of the worst football stadiums in the football league, but it’s also been one of the most formidable places to visit. 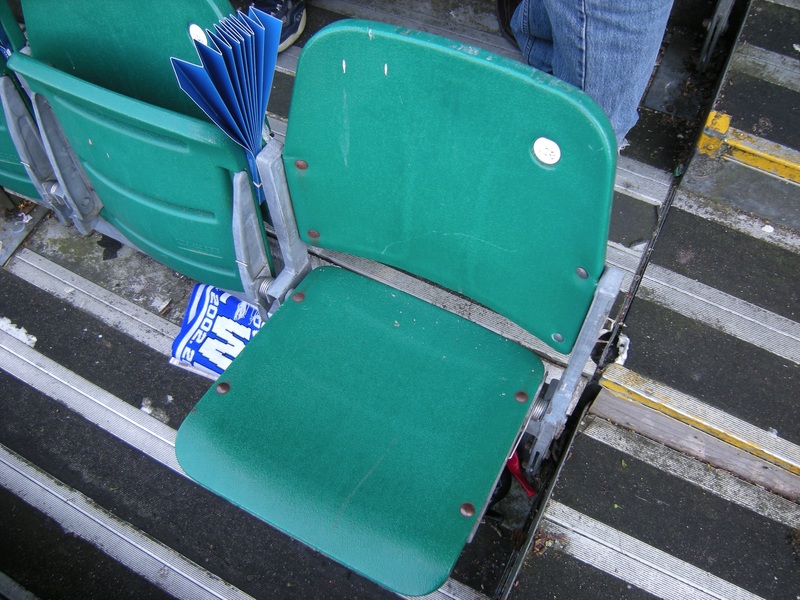 I firmly believe that time will produce a fondness for it in the minds of all those who sat and got soaked in the open stands, miles from the pitch action. 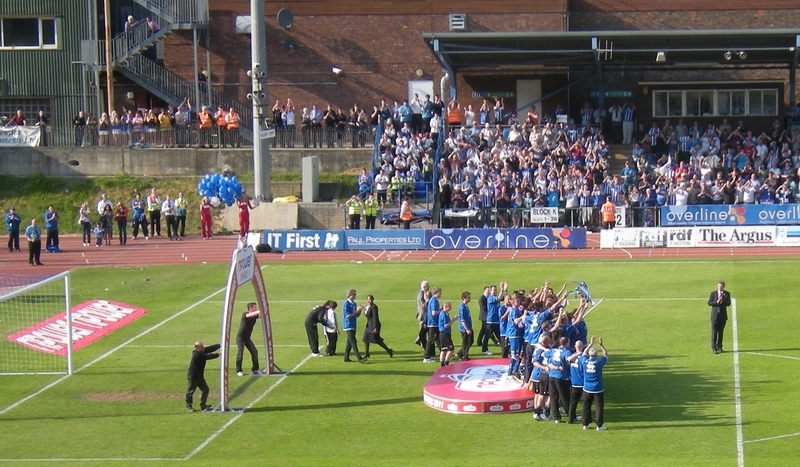 It will never compete with the Goldstone for the affections of the faithful, but Falmer has a hard act to follow in terms of footballing success, and yes some great games. Rest In Peace. Very sad news announced today, Liam Maher, the charismatic lead singer of the spectacularly self-destructive baggy/acid house band Flowered Up has died suddenly. The band made one legendary album then imploded in a haze of drugs, booze and unfulfilled potential. But before they disappeared they left the world this anthem which describes, better than anything else since or before it, the mad, crazy phenomenon that was the early nineties acid house/rave scene – “weekender”.